It’s not uncommon for an organization to select one or two lucky employees to attend a conference each year but sending a larger group actually provides a lot of value. 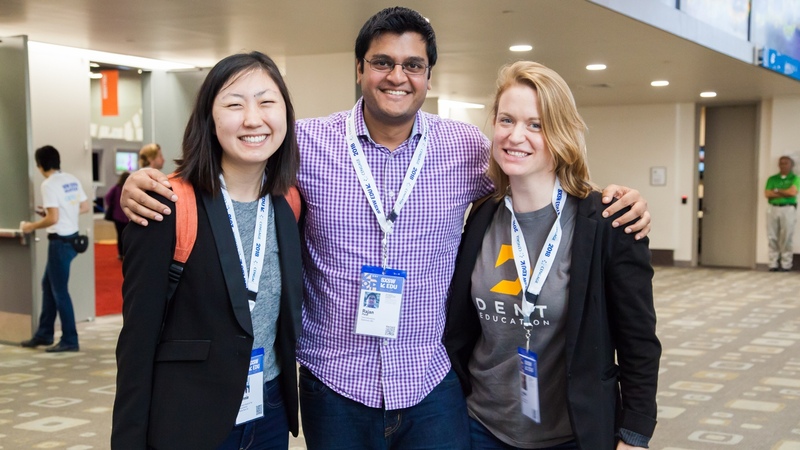 Here are five benefits of attending conferences with a team. Attending a conference is a great way for organizations to nurture collaborative team-building and fortify company culture. Conference environments allow for more relaxed and natural interactions to occur, they also help inspire shared excitement and passion around work related topics. Learning in a new space encourages growth that is otherwise unlikely to happen in an employee’s everyday environment. Attending a conference is a powerful way to develop new skills, catch up on the latest trends, spark inspiration, rekindle passion, hear from experts, and more. As a team, employees are able to talk about and plan around a strategy for the event. Having a larger group present at an event also allows individuals to take a ‘divide and conquer’ approach to the program, share notes, and explore resources that might be otherwise missed. It also encourages a dialog around the sessions, speakers, and topics that will likely lead to a greater overall understanding and appreciation for the content. Lets face it, conferences can be intimidating, especially for younger staffers. Attending events in groups provides a level of comfort that ultimately will help empower individuals to make the most of their time. Mixing younger and tenured staff together also provides a unique opportunity for mentoring among teams. Financially speaking, it often feels like an expensive proposition to send a large group of people to a conference. But in truth, sending a team will help cut professional development costs in the long run for organizations committed to providing annual opportunities for their employees. Think about it this way, traveling with a group to one event allows for shared lodging, transportation, and food costs. Additionally, many conferences will offer discounted registration rates for large groups. Bring your team to SXSW EDU! Save $50 off each registration when purchasing five (5) registration badges or more. The group discount will be applied to the current registration rate, so make sure to buy early for the greatest savings for your team. Purchase your registration or group registrations through Friday, February 15, to take advantage of the February discounted rate. Early registrants also get access to the best hotel rooms and rates in downtown Austin. *Data is based on the SXSW EDU 2018 post-conference survey.